The JC•NYC Japanese-Flavored Holiday Gift Guide! Are you concerned because you haven’t finished your holiday shopping yet? Don’t worry; JapanCulture•NYC has you covered with our last-minute Holiday 2014 Gift Guide! We have broken it down to 5 different groups: The Traditionalist, The Foodie, The Fasshonisuta, The Otaku & The Japanophile. Check out our curated suggestions below from local establishments or artists and start checking things off your list! 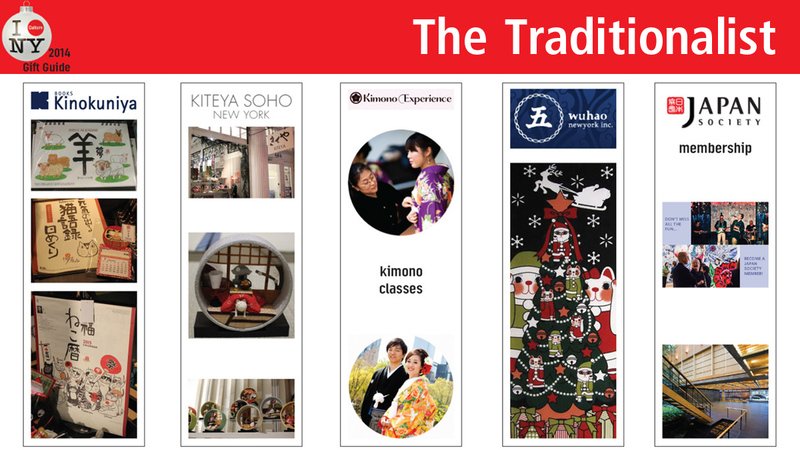 THE TRADIONALIST: If … Continue reading The JC•NYC Japanese-Flavored Holiday Gift Guide!